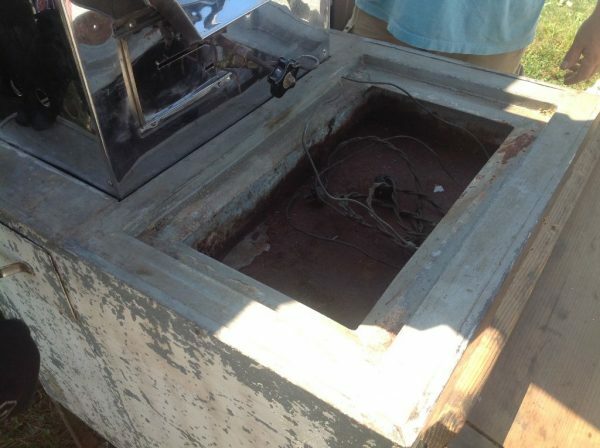 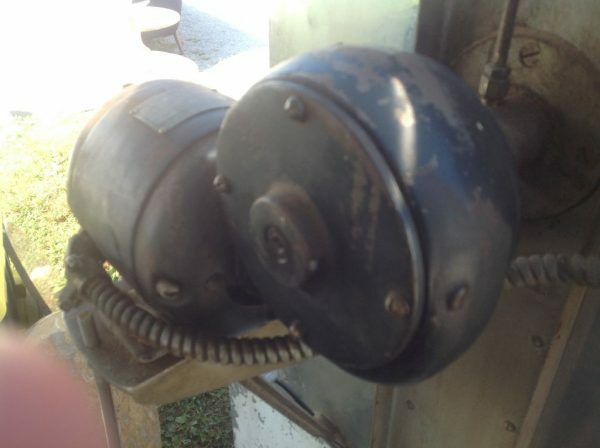 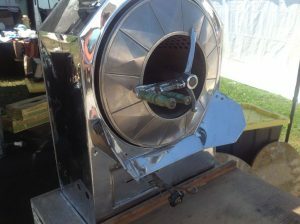 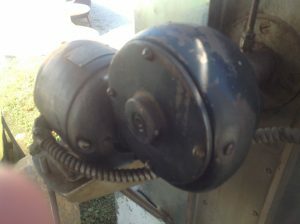 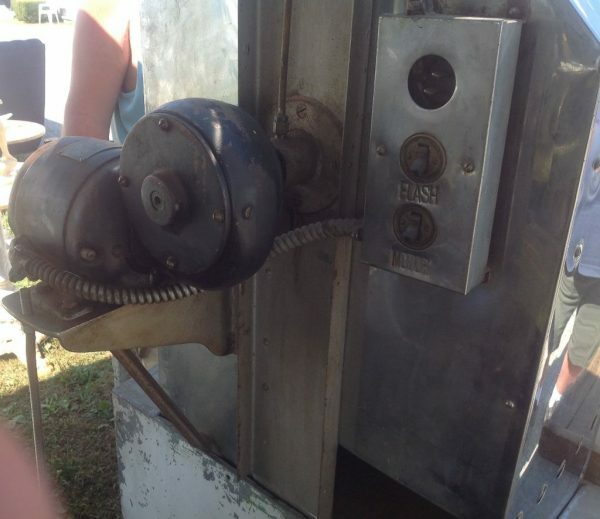 Kingery Korn Smax Popcorn Machine in as found condition. 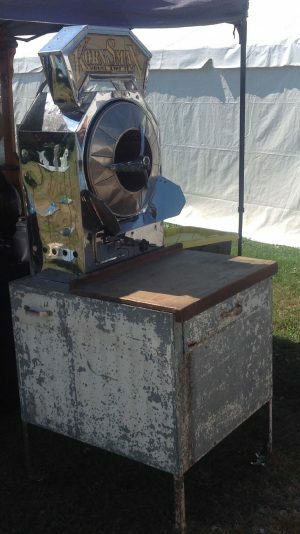 Rare popcorn machine looking to be mostly original. 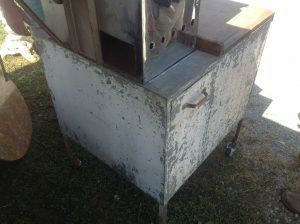 Stand appears to be missing the metal hopper box replaced with wood top. 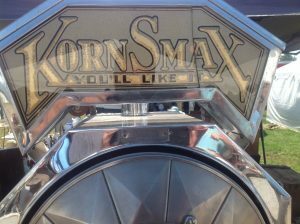 Top Korn Smax sign flashes but glass has a hairline crack. Beautiful machine, all polished out, needing minor restoration………….